We’ve all seen the posts – kitschy platters covered with questionable food stuffs, coated lovingly in lime jello or aspic. Most people love to laugh at these kinds of outdated food displays, and assume that the whole thing must have been disgusting, and why would you put jello on meat anyway? The Colonnade Restaurant in Atlanta has been open since 1927. 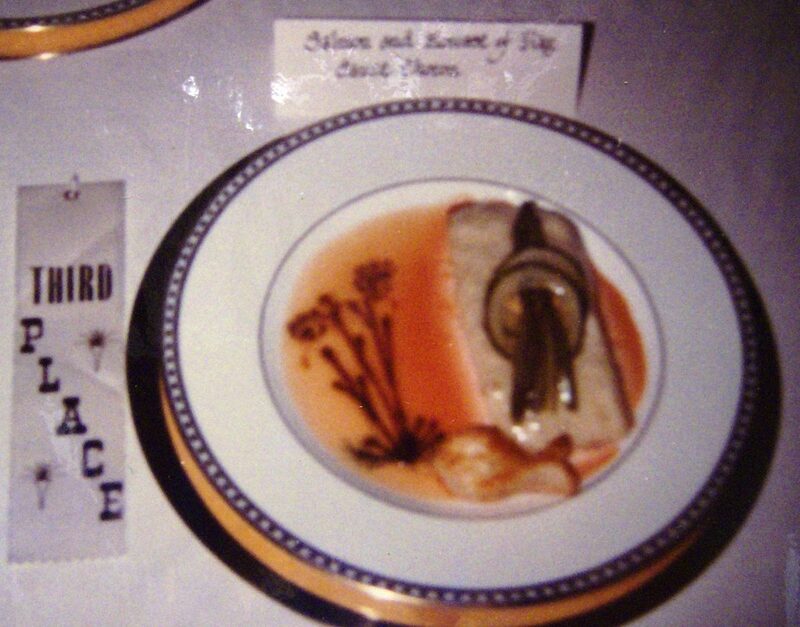 On their impressive Sides and Salads menu, they still proudly feature a Tomato Aspic. This is a dish that is a real holdover from the days of the Tea Room and fancy luncheons at the club. It comes as a molded timbal, and has texture similar to a gelled blended gazpacho. Served with a side of fresh mayo, it is refreshing and crunchy and delightful. When the Culinary Historians of Atlanta celebrated Julia Child’s birthday a few years back, I delved into “Mastering the Art of French Cooking” and came up with some treasures to prepare. The Oeufs en Gelee pictured above was one of them. I used quail’s eggs because I liked the idea of having a more bite-sized portion, and that worked very well. I made a very flavorful and well-seasoned stock before I added the gelatin. If your liquid is delicious, the aspic will be too. 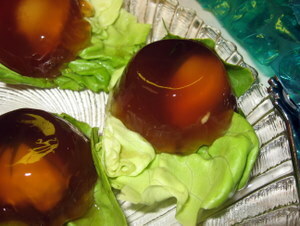 Another dish I prepared for that event also contained a lot of gelatin, although not on the outside. 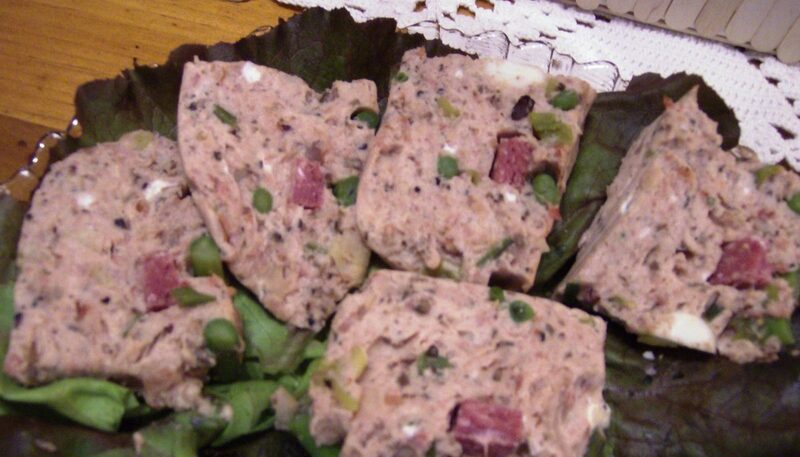 It was a Mousse du Jambon, or a ham pâté . The cooked ham is ground and seasoned, then mixed with whipped cream and fortified with gelatin. It is then layered in a mold with pieces of asparagus, chives, hard boiled eggs and strips of ham running through it so that sections show up in the slices. It was so incredibly rich that a small piece was all you needed, but so wonderful! 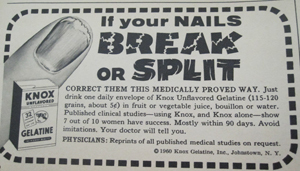 And without the gelatin, it wouldn’t be possible. 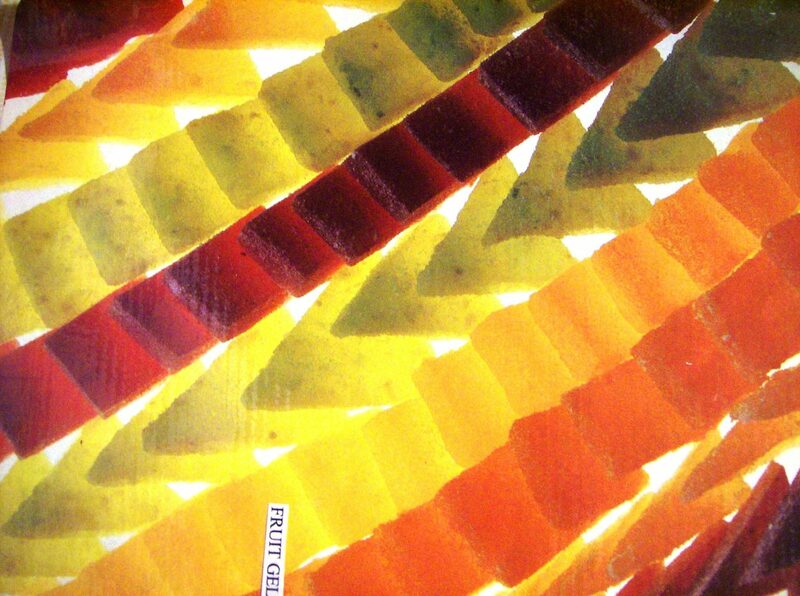 The next time you see a plate or a display that has a coating of aspic on it, give it a try. You might be pleasantly surprised! This entry was posted in Food History, Gluten-Free, Health, Soups and Stock and tagged Aspic, Gelatin, Julia Child, Knox Gelatin, Mousse du Jambon, Oeufs en Gelee, The Colonnade Atlanta, Tomato Aspic on April 9, 2014 by Chef Christy.